This well-known appellation is probably the most famous of the Loire wines. Lying at the eastern most tip of the Loire region, southeast of the town of Orleans, this is Sauvignon Blanc country (although a small amount of red wine is made from Pinot Noir grapes). Over the years the appellation has been greatly expanded and now covers 2,600 hectares. Sancerre lies on the left bank of the Loire River, opposite Pouilly Fumé on the other side and the vineyards are usually planted on south facing slopes at an altitude of 200-400 meters. It lies on a bed rock of ancient chalk and limestone soils which extend from the cliffs of Dover in England through Champagne and Chablis. The vineyards are in fact more in the center of France than in the Loire Valley and as such benefit from a continental climate with short, hot summers and long, quite cold winters. The wine is made with temperature controlled fermentation and no oak aging to preserve the purity of its aromas. This is a bone-dry wine with very pungent aromas of box tree, gooseberry and gunflint. It has quite a rich body and very good acidity that leads to a long finish. The wines are much prized on restaurant wine lists for their aptitude with many different fish and seafood dishes as well as the classic match with locally made goat’s cheese. Geen beschrijving beschikbaar. ‘LES BONNES BOUCHES’ – Loire white from the famous flinted hills of St. Satur and the hills and ridges separating the village of Chavignol from Sancerre. Very fresh and fruity with hints of musk, spice and prominent floral and citrus aromas finishing with good length. 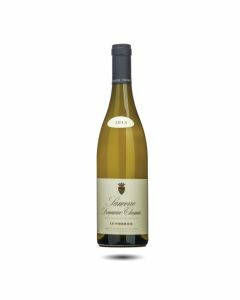 Very elegant at the beginning of a meal, this wine is an excellent companion for delicate fish and white meat, developing freshness with a pleasant roundness and a delightful softness.